Beacon tracking is a very exciting robotics area that can be used on things like Robocup, a football tournament played by robots. This robot demo how it can be done. 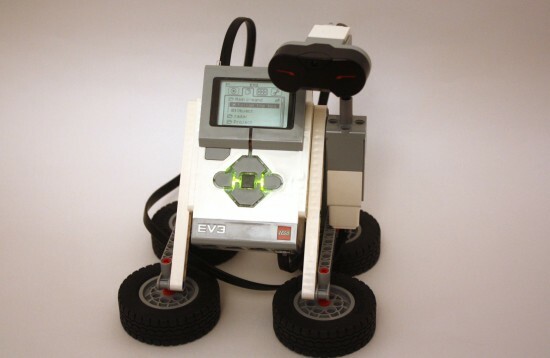 This weekend I have been playing with my new LEGO Education EV3 Core Set. So it was a fantastic time to revisit the IR Sensor and use one of its functionalities: tracking. The Robot is quite simple to build, so you shouldn’t have any problems getting it. It is just a stand for the ev3 brick and the M-motor attached to it. The program is amazingly simple. If you recall the Line Following tutorial I wrote last week, I just applied the same idea for this robot. The IR Sensor gives you a heading value that ranges from -25 to 25 to tell you where the beacon is, from top left to top right. So I just use this reading and use a P-Controller to make sure the error is 0. But what is the error? It is the heading, when the IR beacon is exactly in front of the robot it will report 0. So this is the EV3 code. Is it possible to use another IR emitter as the beacon? Hmm. A lot of phones emit IR now, like my Galaxy S5. I don’t know how to program it but I’m sure it wouldn’t be that difficult to get the IR to pulse. Thanks for the reply!! How to get the remote to work? 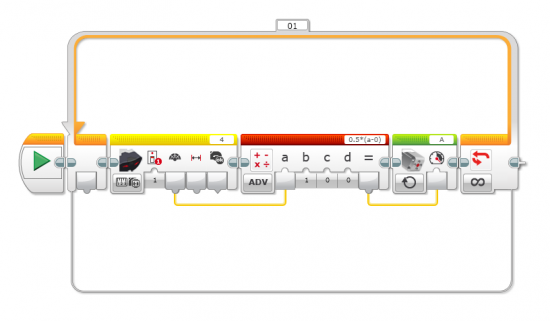 How do I make EV3RSTORM “follow” the beacon? Hello. I’m Korean but, I can speak English a little. I want to open source code file. 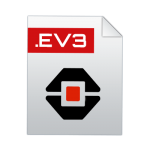 Where is EV3 program download? I want to make Beacon tracking program. so, could you give me advice about that?